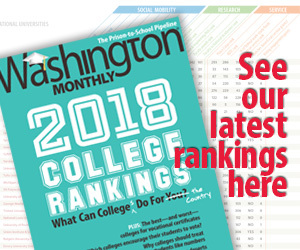 Washington Monthly | Journalism Fellowships For Everyone!? EdWeek’s Stephen Sawchuck, author of the TeacherBeat blog, has won a Knight-Wallace fellowship for next year. He joins the four new Spencer Education Journalism Fellows in being able to spend a year thinking and writing about education. A handful of other education reporters have been given short-term fellowship stipends through the EWA Fellows program (funded by Gates/Nellie Mae), and also through the Ford-funded Renaissance Journalism Fellowship program. The Tampa Bay Times education team won a $7,000 USC Annenberg fellowship/grant which helped with the public records requests that were integral to the report. Unlike the Spencer, Knight-Wallace, and Nieman fellowships, these programs don’t require reporters to leave their newsrooms to do deeper reporting. Only the Spencer is focused on education reporters. New education journalism fellowships keep coming online all the time, like The Educator’s Room, for former classroom teachers. Though not usually described as such,a third form of fellowship is direct funding for journalists who remain in their mainstream newsrooms, such as is being done at the Seattle Times (Gates), LA Times (Broad et al), Boston Globe (Nellie Mae), NPR (Gates), among other outlets. There were no education reporters who were among those who won a Nieman Fellowship for next year, though there have been examples in the past. Related posts: Efforts To Recruit More Journalists Of Color (To Cover Education); New Opportunities – & New Challenges – For 7 Education Journalism Teams; New Spencer Fellows To Dive Into Big Data, Refugee Education, & Gentrification.